Note: This information is only going off research and Asrock’s Website. I have not done a full review of this board yet! 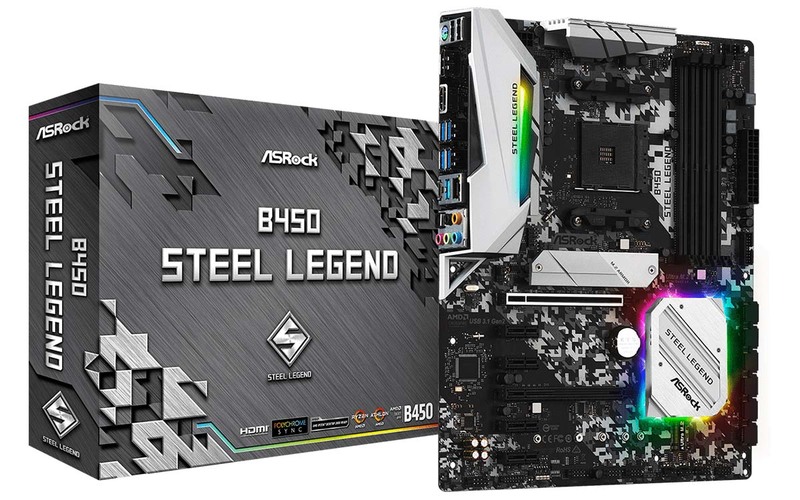 ASRock introduces the Steel Legend motherboard series starting with two models featuring the AMD B450 chipset that supports the AMD AM4 socket processors. The ASRock Steel Legend motherboards are built to be ‘tough as steel’, packing it with durability-enhancing features such as massive aluminium alloy heatsinks, PCIe Armour Steel Slot, and rear I/O armour. The ASRock Steel Legend motherboard also features aesthetic characteristics including support for addressable RGB LED lighting with the ASRock Polychrome RGB Sync. The motherboards also come with a camouflage detail printed on its Sapphire Black PCB giving it looks that fits gamers and enthusiasts. 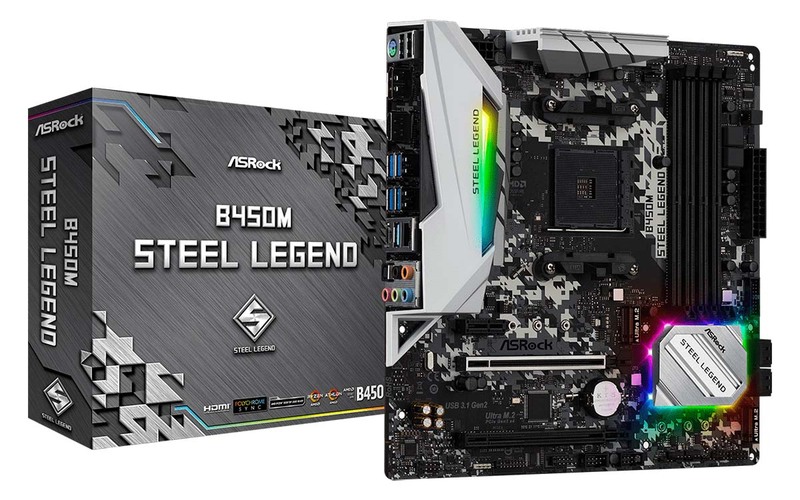 The ASRock Steel Legend kicks off with two models: the ASRock B450 Steel Legend and ASRock B450M Steel Legend motherboards. The ASRock Steel Legend motherboards are designed with stability and protection in mind. The motherboards feature the ASRock Full Spike Protection on all USB, Audio and LAN ports to protect the motherboard from ESD damage and power surge. The motherboards also feature Premium 60A Power Chokes and Nichicon 12K Black Capacitors for greater stability. The ASRock B450 Steel Legend and ASRock B450M Steel Legend motherboards also come with an integrated AMD StoreMI support to deliver flawless storage performance. The motherboards also support AMD CrossFire for multi-GPU setups. The ASRock B450 Steel Legend is a full-featured ATX motherboard for first and second generation AMD Ryzen processors with Radeon VEGA graphics for socket AM4. The B450 Steel Legend comes with a full-featured I/O panel which includes HDMI and DisplayPort ports with support for 4K displays. ASRock’s unique M.2 Armor protects and enhances the performance of M.2 SSDs. It comes with two USB 3.1 Gen2 (Type A, Type C), four USB 3.1 Gen1 Type A ports, and a Combo PS/2 port with USB 2.0 ports for legacy peripherals. The ASRock B450M Steel Legend features a more compact micro-ATX form factor while having the same premium features as the B450 Steel Legend. The motherboard features dual M.2 sockets that support high-speed PCIe storage. It also provides the same stable power thanks to the premium 60A power chokes and Nichicon black 12K capacitors and also supports up to DDR4 3533+ overclocked memory.